You invest in quality printed materials for the Chinese market, you came up with a catchy and culturally apt Chinese name for your brand, you found someone who “knows” China to head your Chinese operations. 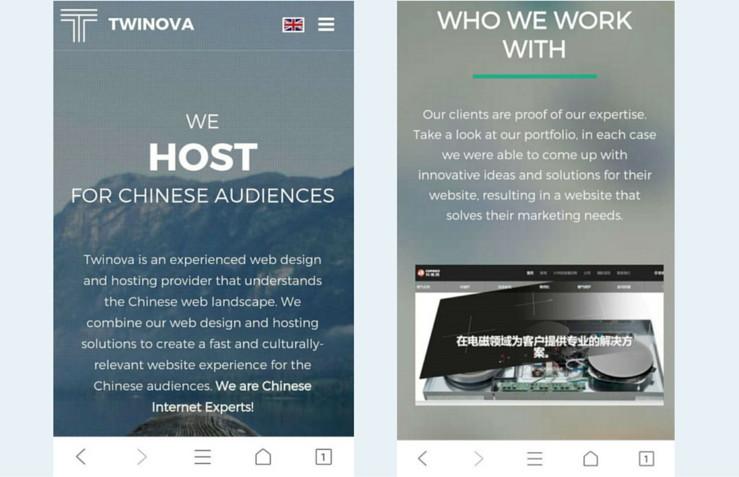 But why wouldn’t you want to make sure your website is culturally-fit for the Chinese market as well? No two countries are alike, but in China the difference of scale is at another whole new level. Creating a proper Chinese website requires a lot of forethought and planning. Here are my tips & tricks on making your Chinese website fully-optimized for the local Internet landscape. Chinese must be the default language for your website. Is this too obvious to mention? Add English as a second language for possible foreign partners and customers. How relevant are other international divisions/products for my Chinese target? Should I include them on the website? The general content. Adapt it for the Chinese readers, stay away from a word for word translation, make sure you find a native speaker who can localize it for you. Chinese language does not have tenses or conjugations. This means that, for example, the structure of the sentence is different from that of other languages. You are selling to Chinese customers, appeal to their aesthetics, history, customs. Brands who made it big in China have all something in common – they adapted one way or the other their products and services for the Chinese customer. Your products. Include good quality images and videos. “A picture is worth a thousand words” is a cliché, but also reality. Chinese beauty standards are different. This applies everywhere aesthetics is involved, including the design of your website. Chinese websites are cute. Not a word you were expecting in this context? Well, this sums up all the emojis and stickers which can be found even on corporate and news websites. Website are also more crowded in China. Or at least this is the first impression. One reason is the Chinese language. Characters are more dense than letters, there is no space between characters and there is no capital letter in Chinese. 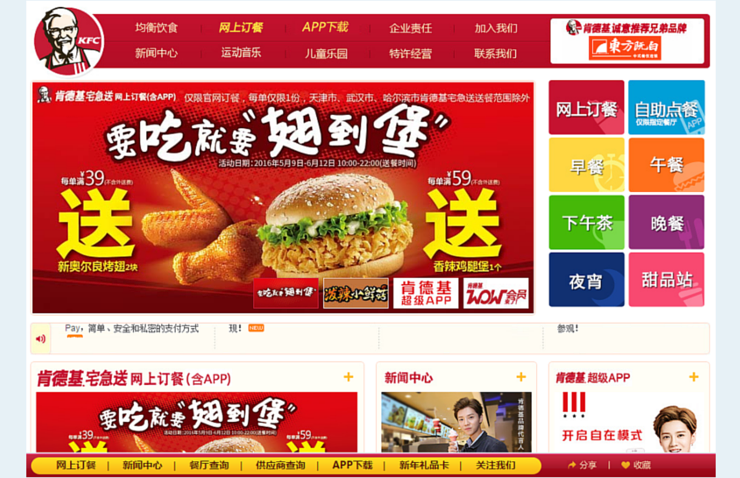 Chinese are used to cluttered websites since the advent of the Internet in China. Most of the portals have tons of text, links and media. The trend is now shifting to a simpler design, converging with the trend in the West, but they are still crowded after Western standards. Let’s take the example of KFC. Below you have the US and the Chinese official websites. The design for the Mainland has more colors, text and is, generally, more vibrant. Let’s talk about Chitu. 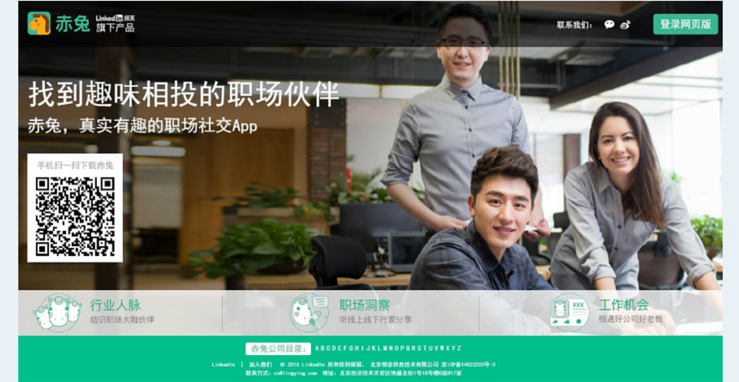 In 2015, LinkedIn launched Chitu, a social networking app with a professional vibe, targeting young talent in China. The app is a mix between WeChat and Weibo, in a professional context. While the two websites have slightly different purposes, a short comparison between their design is revealing when we talk about Chinese design trends. 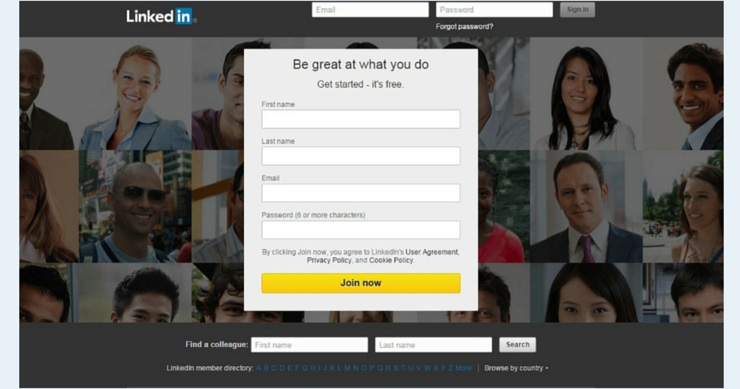 LinkedIn's homepage. 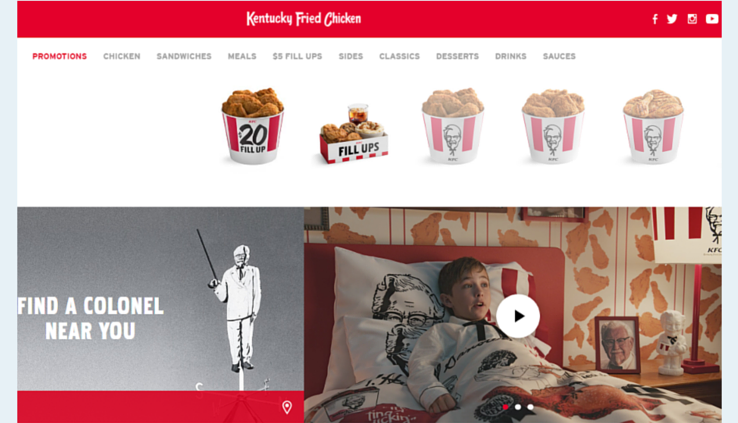 A clean, user-friendly, professional layout. Chitu's homepage. A user-friendly, clean design with some Chinese features: the QR code, the logo transformed into emojis to showcase different features of the service. Online behavior in China differs from everything you know. You must incorporate features which are rarely used on the Western markets (online chat on your website, QR code) and adapt your social media communications on Chinese platforms. 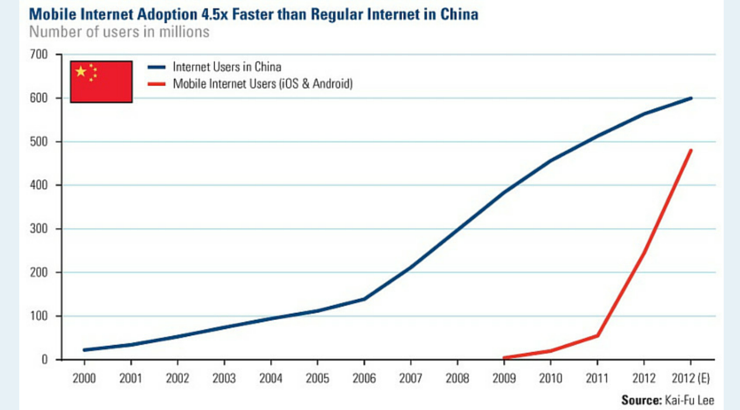 More than 632 million people use their smartphones to access the internet in China. Which means that your website design must adapt perfectly to a smaller screen. Make sure your website is responsive or has a dedicated mobile version. Our website is a good example of responsive website. The design and images are perfectly adapted for mobile browsing. As Joe mentioned before (here and here), Chinese users expect to find on your website an online assistance service. Apps like Zopim and Meiqia allow you to offer real-time customer support directly from your website. 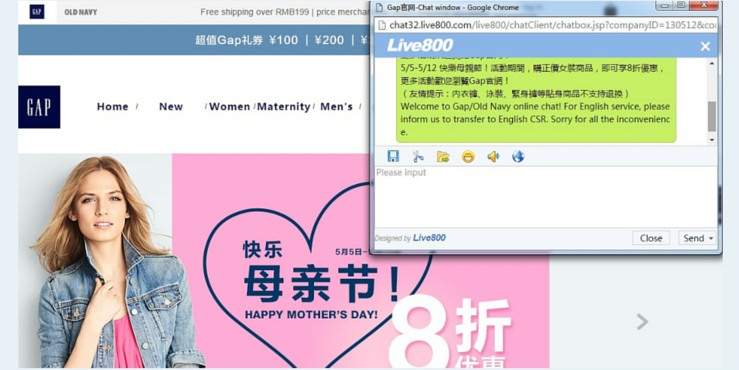 On the Gap website you can chat in English and Chinese with a customer service assistant. For the same purpose, you can use your company’s WeChat or Weibo account, in a similar way you would use Facebook or Twitter. Real-time online assistance can help you solve inquiries about products, promotions and even complaints. Chinese users are big fans on online shopping. More than 380 million netizens buy online, with an annual growth rate of 53%. By 2020, more than half of the Chinese population will shop online. If you need to accept payments from you Chinese visitors you will need Chinese payment services. The three biggest online payment processing platform in China are Alipay, Tenpay, and UnionPay. 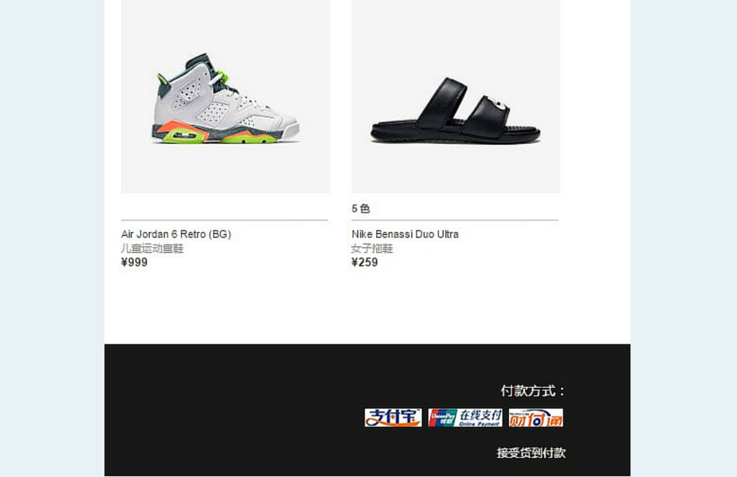 See the image below where Nike China advertises the payments processing platform which they support. Social media channels are also different in China. No Facebook or Twitter, but you do have Weibo and WeChat as efficient means of communication. If your website is just a translated version of your English/French/etc website, your Chinese users will find themselves unable to follow you on social media platforms inaccessible in China. Coca Cola's homepage - no reference to Facebook, Twitter, Instagram. Instead, the icons represent the company's accounts on Weibo, WeChat and QQ Space. Chinese are not good at remembering domain names in English or other languages that are foreign to them. A domain name like amazon.com is very easy to remember for anyone coming from an Anglo-Saxon country, but the same cannot be said about the average Chinese user. This is exactly why Amazon China decided to switch from amazon.cn to z.cn in 2011. 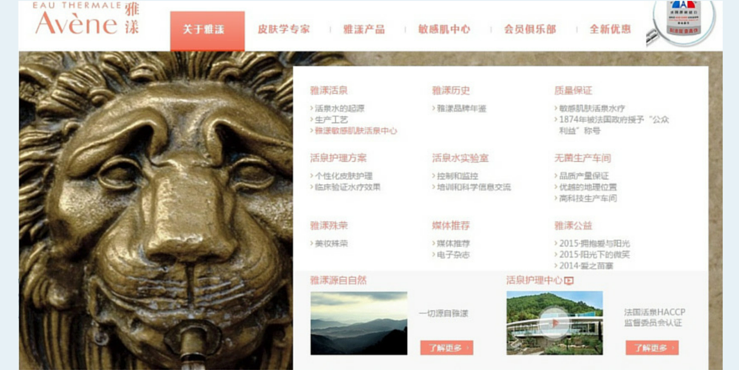 While using non-Latin characters in your domain name(e.g. 亚马逊.cn) is possible, in China these type of domains are not widespread since not all Internationalized Domain Names (IDN) are only supported by newer web browsers. Most of the Chinese websites are still employing Latin characters and numbers in their domain name. Numbers – They are easy to remember and the way they are read in Chinese brings meaning. 58.com, a Craiglist equivalent website in China is one of the examples that uses an all-numbers domain. Eight is the luckiest number since when it is read it resembles the word for “fortune”. Four, on the other hand, should be avoided at all costs, as it phonetically resembles death. If for some reasons you decide to use a long and hard to remember domain name, such as mondragon-corporation.com, we would advise you to create another point of entry to your website other than the domain name. The other option is a QR Code that can be scanned using WeChat, the super app that is installed on almost every Chinese phone. The Chinese consumer has built up the behavior of scanning QR codes with WeChat and you can use this to your advantage by directing your audience to your website. Instead of asking them to type a long domain name into their web browser, you can just simply get them to scan a QR Code on your printed materials. As some companies literally adapt the recipe of their products for the Chinese market (see Oreo’s story), you must also make an effort and launch a website which will attract customers, without compromising the identity of your brand. Since the website is your online business card, it is worth the effort!